Hydra, the postgraduate journal for the School of Social and Political Science has published its second issue on the University’s Journal Hosting Platform. Hydra’s mission is to strengthen dialogue in SSPS by drawing attention to the excellent postgraduate work going on in the School. The articles in this second issue address a variety of topics, but they do so in a way that is accessible and engaging for a non-specialist audience. Jacque Clinton begins the issue by examining how historical institutionalism and path dependency have influenced the development of healthcare policy in the UK and US. Nida Sattar follows this with a deconstruction of the complexities of citizenship, focusing on the multi-layered situation faced by the “rejected Biharis” of South Asia. The final four articles all engage with issues around international aid and development; Katharine Heus critiques the construction of evidence of aid effectiveness in global health interventions, while Megan Wanless examines the World Bank’s approach to dealing with corruption. Katherine Allen interrogates the M-PESA money transfer initiative in Kenya, and Serena Suen rounds off this issue of Hydra by questioning accepted wisdom about the role of women’s education in global development initiatives. 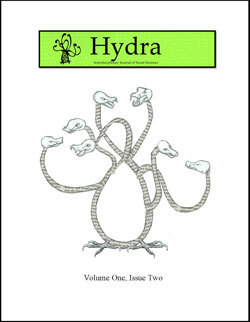 Hydra is a student publication supported by the graduate school. We hope Hydra, like its namesake, will endure and regenerate for years to come.